Fall is Soon Here But Have no Fear! Summer has been a great time, but pretty soon there is going to be that usual change of pace. Come September, families everywhere will have to adapt to the schedule that includes not only work but also school. As kids go back to school, that’s when families kick themselves into high gear and when you’re running around the clock, wouldn’t you want some functional, modern-day cabinetry and furniture to compliment you busy lifestyle? There’s nothing worse than running around all day from work or practice with the family and then coming home to a big mess that you have to clean up. One person drops something, another puts something down – it’s a domino effect really. This most likely happens because the system of organization you have in the fronts of your house are poorly designed and don’t do a very good job. Open-face cabinets: They might not be the newest innovation in terms of cabinet work, but you’d be surprised as to how little people even think about installing their cabinets without doors. Leaving them open allows for immediate access to whatever you’d be storing in them. You could even mix and match if you’d like some privacy in some of the cabinetry. Utility Cabinets: Some cabinets, despite their decorative beauty, lack greatly in usability. Forget the elaborate crown molding, the funky paint job – it’s the era of bare, minimalistic design and tall, utility cabinets offer all of that. You can store everything from coats on a coat rack to all of your cleaning supplies for you need to tidy up. Utility cabinets can fit a great deal open and when they are closed offer nice long lines that can complement any verticals you might have going throughout your kitchen’s decoration. Sometimes rooms with a lot of storage space get too full, and it’s almost like you can’t breathe. That’s when you consider the following: not putting any thing functional on the walls above your height or better yet, nothing at all. This allows you to be in an airy, open room no matter how stressful or free you’re day had been. It also makes for smarter organization as you probably have less space than usual. Hopefully these suggestions have helped you step into the right direction in terms of preparing yourself for the upcoming fall. 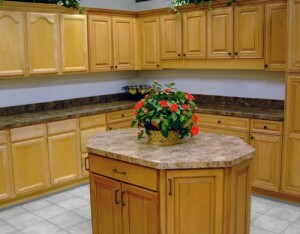 If brand new cabinetry is something you’re considering, contact ASA cabinets today for more information! Call 248-624-7400 or visit www.asabuildersupply.com today!